For the answers to some common questions regarding fuel cells, please see the list of frequently asked questions below. 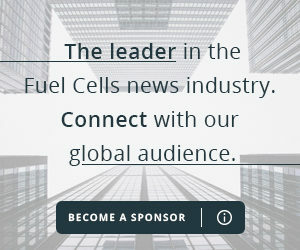 When was the fuel cell invented? Fuel cells were initially demonstrated in 1839, by Sir William Grove. However, a truly workable fuel cell was not demonstrated until 1959. After use in NASA’s space programme, interest in fuel cells died down somewhat until the 1990s when research and development started to lead towards greater prospects for commercialisation. The need for renewable energy has stimulated tremendous technological progress in this field in the last decade. A fuel cell is a device that produces electricity and heat by electrochemically reacting a fuel (generally hydrogen or hydrogen-rich) with oxygen. Unlike a conventional engine, it does this without burning the fuel and can therefore be more efficient and cleaner. A fuel cell essentially consists of an electrolyte sandwiched between two electrodes with connectors for collecting the generated current. In most instances, power requirements are higher than the relatively small output obtained from a single fuel cell. A number of cells connected in series to obtain higher power output constitute a stack. Most fuel cells are used in this form. A battery is also an electrochemical device, but it is a closed system which generates electrical energy from the conversion of its stored electrolyte. Once the electrolyte is fully converted, the battery is depleted and must be either recharged or replaced. A fuel cell, by contrast, can be continually provided with fuel and oxygen from external sources and can therefore produce power indefinitely (for the rated lifetime of the cell). What types of fuel cell are there? Fuel cells are generally distinguished by the electrolyte they use, hence the names alkaline, proton exchange membrane, phosphoric acid, molten carbonate and solid oxide fuel cells. Direct methanol fuel cells use a polymer membrane but are fuelled directly by methanol instead of hydrogen. Reversible (or regenerative) fuel cells can be operated as fuel cells to produce power, or can be reversed to perform electrolysis under power. An electrolyser is a reverse fuel cell, and uses power to split water into hydrogen and oxygen. Why use a fuel cell? 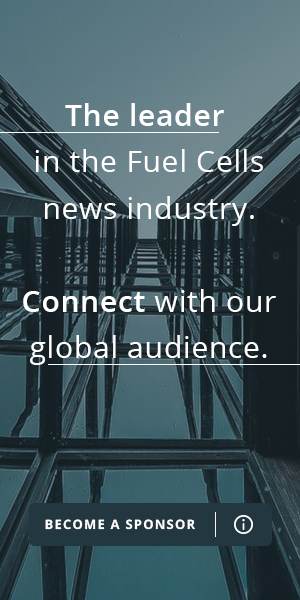 Fuel cells offer a variety of benefits compared to traditional power generators. They are generally more fuel-efficient, operate with very little noise and produce no harmful emissions at point of use (fuel cells which use renewable hydrogen as fuel produce only water). They have no moving parts and are thus easy to maintain. In addition to electrical power, they produce high-quality heat which can be used for heating (or to drive refrigeration cycles for cooling), so improving the overall efficiency of fuel use. What can fuel cells power? In principle, fuel cells could power anything that requires electrical energy to function. This could range from a mobile phone up to a city. Current commercial applications include off-grid power for telecoms stations; back-up power for buildings; drives for forklift trucks; residential heat and power; and portable generators and recharging devices. Megawatt-size fuel cell power plants to supply power to industrial plants and cities are also now becoming a commercial reality, as are fuel cell electric vehicles. Yes. It is possible to purchase a fuel cell as a power source, much as you would purchase a battery or diesel generator, for instance. It is also possible to purchase products which integrate fuel cells with other equipment, and these we refer to as fuel cell systems. There are already many fuel cell products available, from prototypes through to pre-commercial and commercial products. By ‘commercial’ we mean a product that is offered for sale to the public, with appropriate guarantees and industry certification. A growing number of companies offer such products. How much does a fuel cell cost? This depends upon the size and application for the fuel cell. A small hydrogen powered fuel cell delivering up to 2 W of power for portable electronic devices can be bought for less than US$100; conversely it is possible to spend hundreds of thousands of dollars for a large multi-MW stationary power system. It is even possible to lease these large systems for a fixed cost per kW. Comparing the cost per kW for different fuel cell applications shows a high degree of variance, but other benefits must be considered on a case by case basis. Technological developments are continually lowering the material and component cost of fuel cells and production is being ramped up and automated, allowing economies of scale to be realised. Which fuels can be used in a fuel cell? Most fuel cells use hydrogen at the point where the electrochemical reaction takes place. However, fuel cell systems incorporating reformers can be fed by a variety of hydrocarbon fuels from which the hydrogen is extracted and then fed to the fuel cell. Other types of fuel cell can be fuelled with methanol, syngas (a mixture of carbon monoxide and hydrogen), natural gas or other fuels. These will produce carbon dioxide as a by-product but, due to the higher efficiency of fuel cells, the carbon emitted per kW of power produced would still be lower than if the fuel were simply combusted. The best choice of fuel will depend on the particular application. How is the hydrogen produced? Although there are abundant quantities of hydrogen in the universe, very little of it here on Earth is in a freely-available form – it is usually present in a compound with other elements. To use the hydrogen, it must be extracted from these compounds. Most industrial hydrogen is currently produced from oil or gas, by reforming of the hydrocarbon feedstock to produce synthesis gas (syngas), primarily a mixture of hydrogen and carbon monoxide. The hydrogen must then be separated from the other gases; this is usually accomplished by pressure swing adsorption. This process requires fossil fuel and produces carbon dioxide and is therefore not a sustainable practice. However, hydrogen can also be produced in a similar way from renewable sources such as biomass. The ideal is to produce hydrogen so that life cycle carbon emissions are zero. This can be done by using renewable energy (like wind or solar) to power an electrolyser to split water into hydrogen and oxygen. The hydrogen can be compressed, stored and transported from the site of production to the point of use. Running a fuel cell on this hydrogen produces zero carbon emissions. Like any other fuel, hydrogen is flammable and has the potential to react violently with oxygen in the air. However, this is also true of gasoline, diesel and natural gas and yet this has not prevented the use of these fuels. The key is having the correct safety features and infrastructure to allow non-hazardous use of potentially hazardous substances. The industry is putting considerable development into designing the correct equipment and procedures for the safe use of hydrogen. Why not burn hydrogen instead of using it in a fuel cell? Hydrogen is an extremely clean-burning fuel, and offers a good alternative to gasoline or diesel for internal combustion engines. However, any combustion process will produce small amounts of pollutants whereas a fuel cell has the potential to emit none. This is in addition to the other benefits of fuel cells mentioned above, including more efficient use of any given fuel.